Recommended score of Toshimaen is 3.5! Parking lot: 200 yen for 30 minutes. Maximum 1,500 yen a day. Motorcycle 500 yen per day. ※ Pool period is different. ※ For details, refer to the following sales calendar. 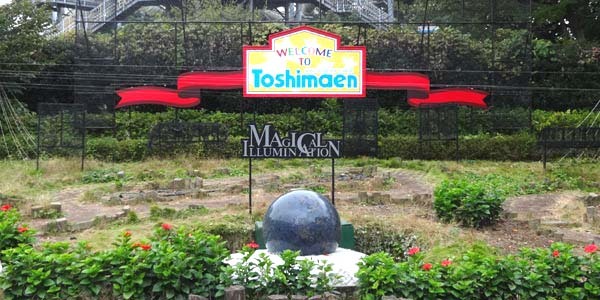 Toshimaen is an amusement park of Seibu Group in Nerima Ward. Among the 23 wards of Tokyo, famous for this “Toshimaen” is a large leisure pool that holds several pools in one place. It is also the facility where the first flowing pool in Japan was made. 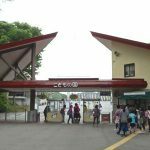 In addition, it is famous for Japan’s oldest merry-go-round “Carousel Eldorado” which is also the oldest amusement park in Japan, and has introduced numerous first attractions in Japan. There are two ways entering 「Toshimaen」 +　to enjoy attraction. If you go to Toshimaen, I strongly recommend you purchase the free pass one day by ticket shop or “Yahoo auction”. There are many corporations participating in it, and a lot of corporate tickets are circulating. If you buy a ticket for that “Mokuba no Kai” at a ticket shop or Yahoo auction, you can play as much as you want on a day very cheaply. Tickets for children do not exist, but this ticket itself is cheap, so I　purchased the same thing including children’s. This time, 2 parents and 1 child are 3,540 yen. It is about the price of one regular a child. If you know the appeal of a cheap ticket, you may be not able to buy a ticket at a regular price anymore. In “Toshimaen”, I saw people buying tickets on the spot to get on the attractions. I also felt a bit sorry. . .
By the way, in other shops in Shinjuku West Exit, it was 1,400 yen to 1,500 yen, in Yahoo auction it was around 1,200 yen. If you have time to wait for tickets to arrive, Yahoo auctions are often more advantageous. The tickets of the Mokubanokai are bounded by the deadline every three months. It is every 3 months from December to February, March to May, June to August, September to November respectively. As a result, the price will gradually decline as it approaches the last month of the deadline, so if you go to buy at the timing when the deadline approaches, you will be able to do better shopping. There was also that, this time I went to buy in November, but as the end of November comes closer it will become even cheaper. However, there are times when it is sold out when going to buy just before it, rain falls and it can not go as planned. So it is necessary to judge the timing of purchase around that part. The business hours of Toshimaen are as follows. Ticket price for 1 day free pass is as follows. Therefore, the cost per hour is as follows. The opening hours of Tokyo Disney Land are as follows. How, Disney Land has a high ticket price, but because the time you can play is long, the cost performance is high! Well, if I go to Disneyland, I will buy goods and go eat, so spending in the park is the victory of Disneyland. (Bitter smile). . .
Toshimaen ‘s attractions is on the following page. My daughter’s best favorite is the roller coaster “Cyclone”. Since about a year and a half ago ,she got to love the roller coasters since she became able to ride a Disney land coasters, but it seems that it did not change even if she tried it at Toshimaen. So, we rode seven times continuing just before closing, and we rode a total of 11 times. Since it is 500 yen per time, if you buy a ticket every time it is 5,500 yen. Maybe I could recover my investment (laugh)? The next thing I liked would be “Children’s Forest”. This is like a athletic plaything with a little sense of luxury　in the park. Children love such places. My daughter was playing for more than an hour. There were attractions that have not yet gone, so finally I could move to other vehicles by saying “I have other interesting rides”. My daughter always plays with two hours, three hours in such a park. So, we may not have to go to “Toshimaen”. . .
Perhaps, my daughter favorite　may be a mini zoo　“Fureai　garden　”　. She　was saying “I want to go here!” From the beginning after entrance. 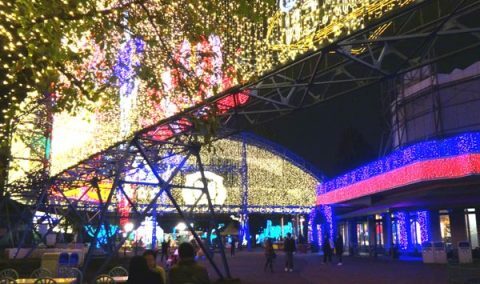 But as a parent I had a feeling that she would　not get out of it when she entered here, so I intentionally began to turn around from another attraction. As expected, after entering here I eventually stayed here until the closure of this zoo. About 2 hours . I feel again here … If the purpose is to play with animals, I wonder if it is OK at the ” Fureai corner” at Ueno Zoo. It sounded like that. The Ueno Zoo is more reasonable (bitter smile). . .
By the way, I can not use Free Pass here. Both adult and children need 600 yen per person. In addition, the ticket of “Mokuba-no-kai” will be 100 yen discount. Once you pay the fee, you can enter and leave as often as you like and there is no time limit. By the way, my daughter seemed to like “Troika” in the attraction. As the gondola on which the person is riding rotates, the pillar also rotates. Since the axis on which the gondola is turning gradually tilted, there was also a temporary floating feeling, she said that it was fun. She got on it three times. There are many Restrictions on Height of Toshimen ‘s attraction. 90 cm or more, 110 cm or more, 120 cm or more, 130 cm or more. An adult attendance is required from 90 cm to 110 cm. Restriction of 90 cm or more. 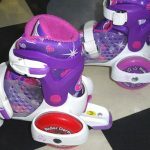 and 90 cm – 110 cm = It is about the attraction for children that adults need to accompany. Restriction of 110 cm or more = It is a lot of coaster attractions. Less than 110 cm = It is good to think that you can only ride for children’s attractions. 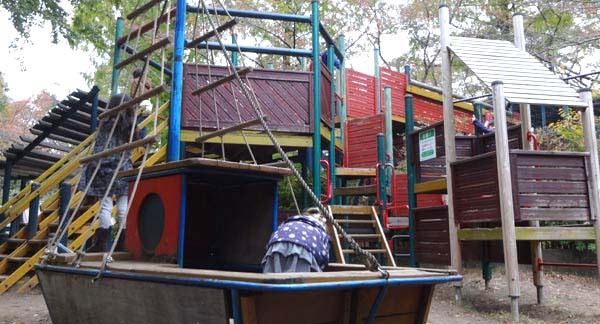 Pirate ships, falling systems such as flying carpets, and large rotating systems such as wave swingers are eligible. It is only an auto scooter. Kindergarten children less than 110 cm = limited ones that can　not ride and stress builds up. Elementary school first grade less than　student 120 cm can not ride what you want to ride . ｡｡｡The such situation occurs. It is good to go out after checking the height of the child. When I went last time, my daughter’s height was not even 110 cm. My daughter felt quite dissatisfied without almost being able to ride, but this time it is over 110 cm. We also had a strange confidence from that Disneyland vehicles can ride all, so I went with a thinkling that she be can ride almost anything. However, the daughter’s height is 118 cm! … It was sorry that she could not get on some of the attractions that she wanted to ride again. From now on heading for winter, by spring next year when it gets warmer, she will go again once her height grows by 2 cm. By the way it is an attraction called “Euro 2006”. For children between 90 cm and 110 cm, adult attendance is required. 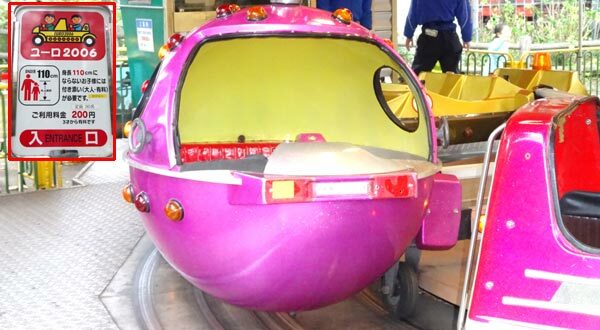 But this pink ball-shaped ride does not have a door etc and you need to ride from the front. Children alone can ride, but adults are accompanied by surprises when they ride. It’s full and full. “Do you really say that adults are also going to ride together?” . .
Next weekend of the three consecutive holidays in November. The weather on that day was cloudy from morning and it was forecast that it will rain from around 21 o’clock. Maximum temperature was forecast at 15 ° C, which is 5 ° C lower than the previous day, so it may be because the customer’s start was dull, but it was a lonely situation. In fact, we did not have to wait in lines of attractions, there were attractions where there were only two pairs of customers on the ride. From around 13 o’clock the cloudy sky has become somewhat lighter. Or because lunch time has passed, families have become a lot. Nonetheless, any attractions was not so long enough to make a long line. After 16 o’clock, after the rolling roller coaster “Corkscrew” was closed, there was a slight row in the roller coaster “Cyclone”. Still it was enough to get on by waiting for two coaster operations. Wait about 10 minutes, about 5 minutes per time. If you go to the Toshimaen of the night, I　recommend you go to the mystery zone! That is horrible it anymore! ! My daughter said strongly, “I will not ride”, so I tried riding alone. What is frightening？noone on behind and before, It is jyust only me in the hall is on this attraction. It you think so, will the fear not be doubled? (laugh). Toshiman is a short distance from the Seibu Ikebukuro Line and the Toei Oedo Line Station. It is a convenient place to go by train. 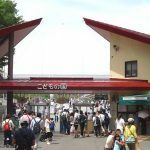 It is a casualness that it is 14 minutes from Ikebukuro station in the case of Seibu Line and 19 minutes from Shinjuku in the case of the Oedo line. I do not understand how well the parking lot is crowded on the day when Toshimaen is crowded. It is because it is easy to go by train so I never went by car. If Toshimaen is vacant like this time, the parking lot was also vacant. Toshimaen has deployed an illumination show as a nighttime business at the weekend of a specific season. Arrange the illumination in the garden, flicker to the music, paintings will move according to the lines and lines like animation. Illumination used a fantastic color shade, and there was also a scene that is giving a good atmosphere. In the name “Illumination Circus”, there was also an attempt to move it, but it was too bad that even the child got tired of it soon. But, if the lover is coming on a date, somewhat may feel fun! 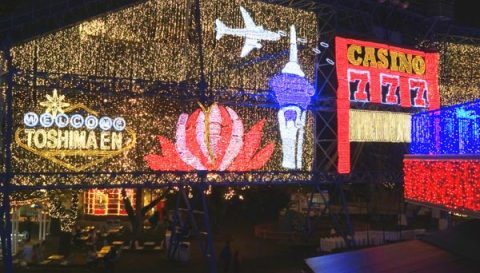 Although it is such illumination, the opening time was extended by about 3 hours thanks to the holding of the illumination event. It is a pleasure to be able to get on the attraction using that time. However, by 16 o’clock half attractions are over. It is good to get on the attraction that ends before 16 o’clock early. I think that this illumination, in fact, is contributing to the reduction of electricity bills. I think the light source used for illumination is probably LED. That is because we can suppress the electricity cost in the first place, and because we can suppress the absolute amount of light by illumination. Taking Disneyland as an example. In the evening, in order to produce a nice atmosphere, they put the lights in everywhere, right? . Therefore, there is no place that is dim and shadowy. In that case Disneyland needs doing some correspondence, I think. However, in the case of illumination, if you say “This is a directing event, so it is okay for there to be a dark place!” I guess that customer can accept it if do not mind if it is somewhat dim. There is a restaurant in Toshimaen’s garden. However, the contents of the meal inside the park feel regrettable. In a bad sense, it is not delicious restaurant of the type that exists frequently in leisure facilities. I think that I will pay this amount for this bad meal. In the morning, if parents can afford, I think it would be better to bring your own box lunch and bring it. Also, in front of Toshimaen’s gate, there are restaurants, convenience stores where you left the station of Toshimaen, so you can procure meals there. There are Starbucks and Macs, Families, Sushi rolls, Izakaya, so the general hope can be fulfilled. you can not come back to eat lunch. In order to eat for lunch you will only have to bring in what you take out. It will be enough to eat dinner after playing . By the way, this time we ate “Hinono ya” and ate dinner and went home. Although　”Hinono ya” is a chain store, it was a pub with a good impression, but is not it a lack of employees anywhere in recent restaurants? Is this dish really served with this meal? … I feel sorry for the service on all of them. 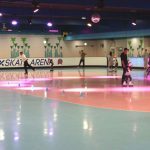 Although Toshimaen is in the city center, it is a place where you can soak in a nostalgic atmosphere. The part of the amusement park is an old amusement park. The “Arakawa Yuuen([ amusement park）” which I went there a few years ago was more vibrant. It is crowded because there is a pool in summer, can you operate as an amusement park? I get a doubt. I think that the overall balance to the attraction is incomplete. For children, attraction size should be small for children. It should be makeing a mechanism of attraction that can ease the height restriction of 110 cm and 120 cm more. And for adults, I think that more full-fledged attractions like “Fujiyama” of “Fuji-Q Highland” are needed. Daughter of elementary school first grade also said that “About the roller coaster, Disneyland is more fun than here,” said. Even if you say that the roller coaster “Cyclone” is fun, even a daughter who has gone ten times. . . is. Disney Land attraction is to be able to ride on approximate attraction from height 105 cm. I feel that there is a mechanism to increase the satisfaction of children, making steep slopes, loose slopes, or lengthening the time they are on attractions while keeping the danger level low. Large investment is necessary to make one large attraction. It will be difficult to make a big change from now. I think that It have failed from the concept when I originally made it. There are various regrettable things … · · ·. However, I think that it was a very meaningful day, considering that it is only 3,600 yen for three family members to play all day from the morning and complete with it. It can be reached from less than an hour from the house, and there is not much expense even in the park. Let’s get the free pass beforehand when going to Toshimaen! Copyright© Rare beast to our house / Child's growth picture diary , 2014 All Rights Reserved.